Welcome to our freeware page. All programs on this page are free to download and free to use. We do not give same support to these programs as for our commercial programs, but if you have questions or suggestions for improvments you are welcome to contact us. 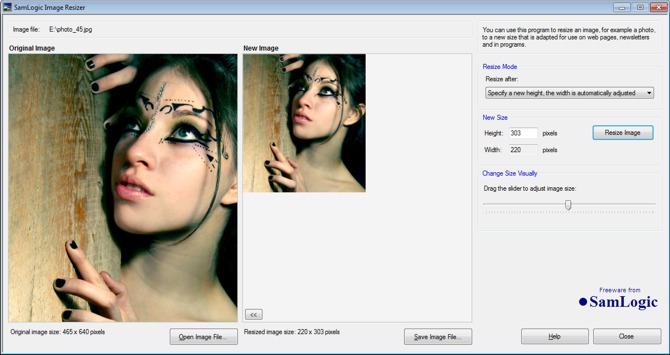 SamLogic Image Resizer is an easy-to-use program that can be used to resize / convert images (photos etc.) so they can be used in web sites, blogs, e-mail newsletters, and with programs. SamLogic Image Resizer makes images smaller in size, optimizes the images resolution (DPI) for best quality on screens and converts CMYK images to RGB. By reducing the size of images they will load much faster if they are used on the web.